This kind of stuff really puts a burr under my saddle. 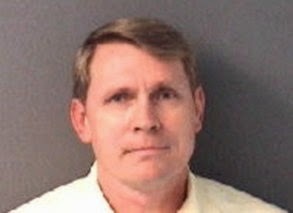 Young-earth creationist Kent Hovind was jailed on tax-related crimes. Naturally, atheopaths dance the Darwin Disco and try to use this to poke creationists in the eye. But you can't get the truth from those tinhorns. And getting the actual story requires some digging. My own awareness of Kent Hovind is minimal. I heard some audio and saw some videos a few years ago, and thought that he was a very engaging, dynamic speaker. He stood up for the truth against arch-compromiser Hugh Ross, but has used "do not use" arguments for creation. (Although I'm biased in Hovind's favor and think he has been, and is, railroaded, I have to be honest about those shortcomings in his presentations.) Even so, he had atheists in a tizzy during debates — perhaps that is one of the main reasons they hate him so much. These days, I am familiar with and supportive of Eric Hovind's Creation Today ministry. Was Hovind running a scam and dodging taxes, maybe "milking the system"? I don't see how any informed, intellectually honest person can reach that conclusion. Oh, sure, the Internal Revenue Service has their side of the story, but so do Kent Hovind, co-defendant Paul Hansen and their supporters. There are extremes in the story, some are typical sidewinder nonsense from anti-creationists, the other extreme sometimes presents a great deal of emotion. The antagonists won't bother to consider that he may be a prisoner of conscience who had a disagreement with the business laws and taxes. (Civil disobedience helped make Henry David Thoreau a hero to some.) Nor will they consider that violent criminals have served less time in prison than Kent Hovind already has! Note the hypocrisy of atheist organizations who claim that they want fairness. Groups like the Freedom From Religion Foundation and others didn't offer a meadow muffin about Obamacare's bullying of the Catholic church, nor do they show any concern about Kent Hovind. If they were honest, they'd be involved, since government abuses of power (such as this one) can become their problem as well — but will there be anyone left to help them out? Not hardly. For people who want to investigate and learn more truth than they'll get from militant atheists and the government's biased side of the story, I have some materials to offer. The most significant item first, suggested to me by an associate of Eric Hovind, for giving fair reporting. This is a blog by Forbes magazine tax writer Peter Reilly at "Your Tax Matters Partner". Next is an article from "Christian News", February 4, 2015, "IRS vs. Kent Hovind: Imprisoned Evolutionary Foe Now Facing New Charges, Life Behind Bars". An article from someone who knew him, "Kent Hovind: Political Prisoner?" Material from Free Kent Hovind. One of the Facebook Pages for #freekent. Added 3-14-2015, this video from January 2015 has a mix of information that may not be relevant, and some other items that show the travesty of this case. First update: He's considered guilty on one of four counts, but that may change with appeals and action from the judge. RELEASED July 8, 2015: He has 30 days of home confinement and has to wear an ankle bracelet. The final insult? Anyway, see "Exclusive Interview: Dr. Kent Hovind Released from Prison – 'I’m So Excited about Going Home!'". I hope that people will use the information instead of the anti-creationist, anti-Hovind nonsense that is prevalent. This is bigger than a disagreement between a creationist and the government, it can have repercussions that affect many people. And Christians, you'd better be praying!